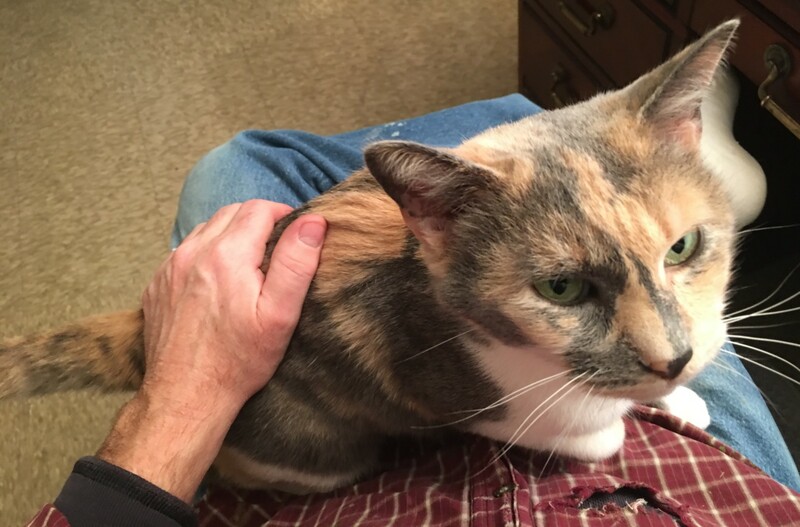 Yesterday I wrote about the extraordinary arrival of Spot in my office. The poor dear is skittish to an extreme and spends her time in the house mostly hidden. But yesterday she appeared on my desk, and then stepped into my all-too-happy arms. Tonight I was working at my desk when I heard an almost inaudible meow. I looked over expecting Stevie but, quite stunned, there was Spot. Looking at me. I slowly swivled my chair to her and we stared at each other. 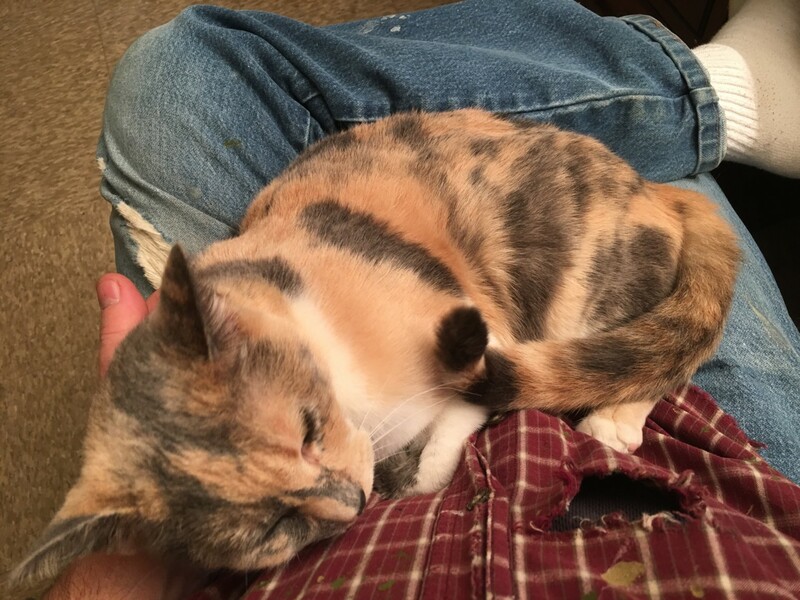 I decided to take a chance, and patted my lap. Without hesitation she jumped onto it. Whoee!!!!!!!! …Stevie edged his way in. Men! 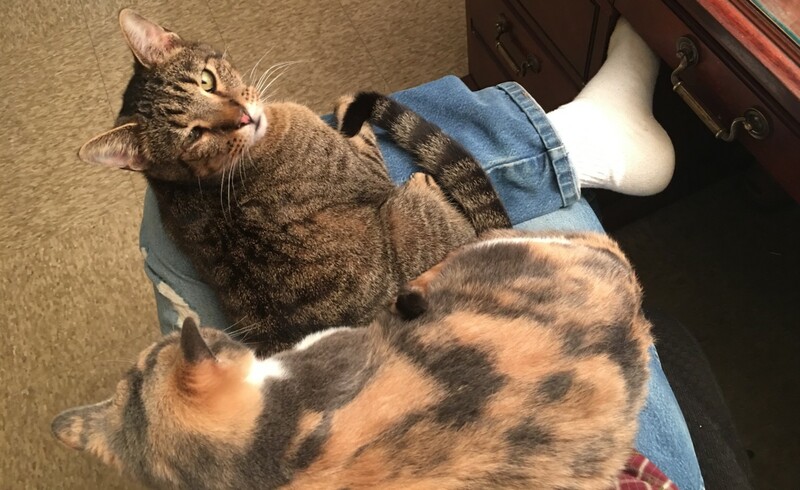 Several hours later, with Spot back in hiding, Stevie napped while I wrote this post. Shhhhhh! Don’t wake him! 4 Responses to A Furry Intruder! So cute! Don’t they walk on the desk and press keys like mine do? Always one wants to “prop” against the keyboard. Sadly I have to end up moving her. I feel so bad but she types stuff with her body! Gilda had a preternatural sense of never stepping on the keyboard. Stevie and Fine are pretty good about stepping over it. It is like they, too, sense DANGER! Fine though, like your beast, will settle in for a nap on my desk, and her body will fall against the keyboard. YIIKES! 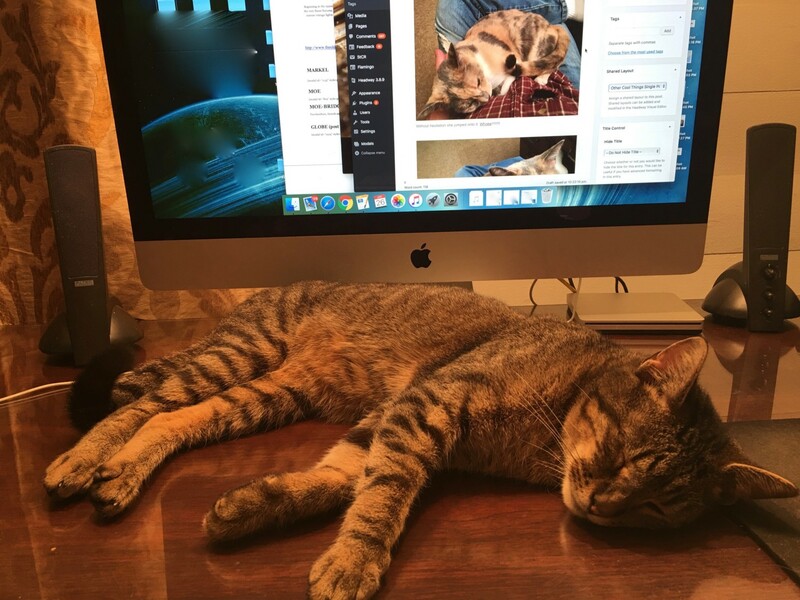 Mostly, when kitties jump onto desk, I pull keyboard away until they settle down! My orange kitty let me pet him a few more times! I hope it continues. Spot has such a gorgeous face. I have a Steve too! He’s a chicken though, and he does NOT come in the house, lol!